Oct. 19, 2012, 10:29 a.m.
Plus: The struggle over control of the debates, Circa and the future of the news article, and the rest of this week’s media and tech news. By Mark Coddington @markcoddington Oct. 19, 2012, 10:29 a.m.
Free speech and anonymity on Reddit: One of the web’s hottest sites, Reddit, came under scrutiny for harboring offensive content this week, and stirred up a discussion on online free speech and anonymity in the process. The story started in earnest when Gawker’s Adrian Chen wrote a piece revealing the identity of Violentacrez, who founded or moderated many of Reddit’s most offensive and sexually exploitative material. 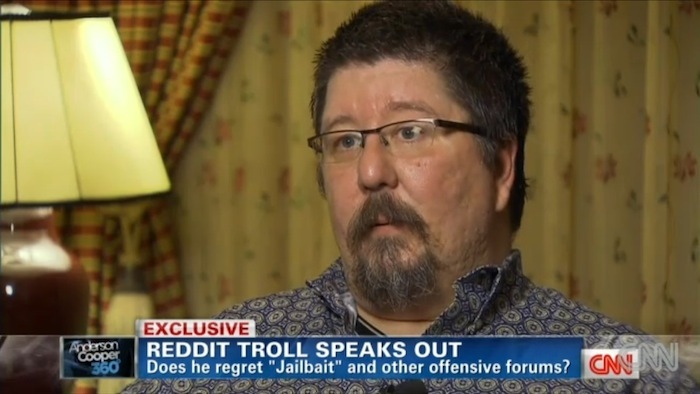 Violentacrez, whose real name is Michael Brutsch, was fired from his job as a programmer as a result, and numerous Reddit volunteer moderators responded by banning all Gawker Media links from the site. Reddit also initially enforced a sitewide ban on the links to Chen’s article and another post on unmasking Reddit’s voyeurs, but the site’s executives apologized and deferred again to their moderators. Overall, though, Reddit’s leaders defended their hands-off policies toward content, as The Verge reported. In a post to Reddit moderators, Reddit CEO Yishan Wong repeatedly stated that “We stand for freedom of speech,” defending its allowing offensive content but also calling for moderators to end their ban on Gawker links. BuzzFeed’s John Herrman reported a similar defense from Reddit’s general manager and pointed out that even though Reddit’s structure appears to the outside world to be very organized, it’s actually extremely decentralized. At The Verge, however, a Reddit user argued that just because the site’s processes are bottom-up doesn’t mean they’re transparent. The Guardian’s James Ball was one of many who criticized Reddit moderators’ ban on Gawker links, observing that the site seems to be all in favor of free speech — except speech it doesn’t agree with. Mike Masnick of Techdirt also critiqued the link ban and defended Chen’s reporting on Violentacrez, though he argued that it’s not fair to put responsibility for it on Reddit as a whole or its management. There were several long, thoughtful perspectives on the situation’s implications for free speech and anonymity that are well worth a read. I’d recommend three in particular: Author John Scalzi, Ken of the legal blog Popehat (two posts), and sociologist Zeynep Tufekci. There were a couple of points made by all three — first, that there really is no such thing as online anonymity anymore, and no one should act as though it exists; and second, that “free speech” isn’t really a defense for this type of content — Reddit is a private space, and free speech doesn’t mean freedom from consequences and criticism. Tufekci, in particular, made a thorough argument for putting more limits on speech within online communities. “‘Free speech’ as an absolute value for any community that is not balanced by any other concern is at best an abdication of responsibility, and at worst an attempt to exercise power over vulnerable populations,” she wrote. Elsewhere, Mathew Ingram of GigaOM said it’s more troubling when private web companies censor speech than allow it, and NYU’s Whitney Phillips called for more understanding of the culture of online trolling, rather than immediately dismissing it. 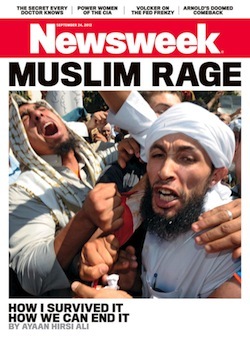 What caused Newsweek’s fall? : Newsweek, which was once one of America’s premier news magazines, will no longer publish a print edition at the end of the year. Its editor, Tina Brown, made the announcement Thursday that it will move to an all-digital, subscription-based format. The Wall Street Journal reported that its online model will initially based predominantly on subscription revenue rather than ads, and rates will be similar to what the print edition cost. Eliminating the print edition won’t be a salve for the magazine’s many problems, as both Digiday’s Josh Sternberg and paidContent’s Jeff John Roberts expressed doubts about whether Newsweek is lean and nimble enough to succeed online. Reuters’ Felix Salmon went further, asserting that “the chances that Newsweek will succeed as a digital-only subscription-based publication are exactly zero” and wondering why it’s even bothering with keeping the organization alive. The big question people were asking yesterday was, “What went wrong?” (Or, more pointedly, “Who should we blame?”) The first few fingers pointed most emphatically at Brown, who took over as editor in 2010. Gawker’s John Cook unleashed a diatribe directed at Brown, and Capital New York’s Tom McGeveran and The Guardian’s Michael Wolff both argued that she hastened the magazine’s decline with her sensationalism and lack of focus, though Wolff emphasized that it was probably doomed regardless. Brown, for her part, told The New York Times that Newsweek was “incredibly moribund” when she began and that the industry’s problems were beyond her power to change anyway. Others were looking mostly at those industry-wide causes, too. Derek Thompson of The Atlantic said the newsweekly’s demise could be attributed simply to the simultaneous decline in readers and advertisers, a case backed up by Business Insider’s graphs. Slate’s Matt Yglesias said newsweeklies were doomed a long time ago when the news cycle they were built on sped up, but Northeastern University journalism professor Dan Kennedy took issue with such characterizations, arguing that newsweeklies can be viable, but not without significant change. There were a few other ideas put forward about contributors to Newsweek’s decline: John McQuaid of Forbes pinpointed its adherence to journalistic voicelessness, and BuzzFeed’s Kevin Lincoln said that Newsweek can’t dictate what America talks about at the proverbial water cooler because in the age of the web, there is no water cooler anymore. Andrew Sullivan of The Daily Beast (Newsweek’s sister news org) was a lone voice of (semi-)optimism, arguing that the sooner magazines get out of print, the better they can do at defining and refining what they do best — connecting information. Who controls the debates? : The second U.S. presidential debate was held this week, and as The New York Times reported, moderator Candy Crowley became the target of interruptions and objections by both candidates, even stepping in to clarify a point of fact. That role was quite a bit more than most people expected before the town hall-style debate, especially after Time’s Mark Halperin reported on an agreement between the candidates that Crowley wouldn’t ask follow-ups or otherwise intervene except to keep time. Mike McCurry of The Commission on Presidential Debates, which organizes the debates, told Micah Sifry of TechPresident about why it hasn’t used more web-centric formats, and Sifry later challenged him on his assertion that the event is designed to give the moderator full editorial control, raising the question of who controls the debates. Circa and the future of the news article: A new mobile news app, Circa, arrived this week with plenty of fanfare about its ability to change the form of news. The app is the brainchild of Ben Huh of Cheezburger Network fame, and it’s focused on breaking news down to the atomic level. It gives readers units of information within a story as they come out, rather than full articles with their packages of context, related information, and commentary. Andrew Beaujon of Poynter put together a good roundup of Circa reviews, which exhibited a range of reactions to Circa’s innovative form. BuzzFeed’s John Herrman noted that Circa seems to be following the aggregation-heavy path of Gawker, The Huffington Post, and others (including BuzzFeed) — and its form seems a lot less friendly to the original sources of its news. Drew Olanoff of TechCrunch and All Things D’s Eric Johnson both explained Circa’s efforts to pioneer the post-article form of news, though Johnson was less effusive about its potential to change journalism. The Guardian’s digital transition: The Guardian Media Group’s CEO, Andrew Miller, spoke late last week about the British newspaper’s ongoing transition to a digital operation, emphasizing the importance of an open approach but noting that most of its revenues still come from print. Tim Worstall of Forbes argued that despite the Guardian’s denials, their all-digital future is no longer an if, but a when. Robert Andrews of paidContent went further into the Guardian’s digital conundrum, applauding its startup-like attitude but concluding that it has to pick up more U.S.-based readers and advertisers in a hurry. There was briefly talk this week about a more jarring change for the Guardian when the Telegraph picked up a report by a media gossip blog that the paper was considering dropping its print edition. The report was quickly shot down by the Guardian’s media critic Roy Greenslade, editor Alan Rusbridger, and PR chief Richard Lindsay. PaidContent’s Andrews responded with a more thoughtful evaluation of the Guardian’s future in print, concluding that it will give digital revenues some time to support its whole newsgathering operation before shedding its print costs. Alan Jacobs of The American Conservative wondered why more newspapers don’t just go ahead and shed the print edition, and Nicholas Carr gave him an explanation. The Guardian did do something concrete this week in its move to digital, though — it hired Wolfgang Blau of the German news site Zeit Online as its first business-side digital strategy director. CUNY’s Jeff Jarvis expressed his approval of the move. — At News Corp.’s annual shareholder meeting this week, the company faced some calls for the Murdoch family to split up its power, though Rupert beat those calls down. Meanwhile, it turns out arrested former executive Rebekah Brooks was given a £7 million severance payment, and Murdoch is once again reported to be interested in buying the Los Angeles Times. — The New York Times announced plans to add a Portuguese-language edition in Brazil next year, the Lab’s Justin Ellis and Capital New York’s Joe Pompeo explained why. The Next Web also looked at the Financial Times and El País’ moves into Latin America. — The Atlantic’s Alexis Madrigal wrote a smart piece on the massive amount of unmeasured activity happening on secure online platforms, or what he calls “dark social.” Mathew Ingram of GigaOM said the solution for news orgs is still in creating engaging content, and for the more academically inclined, Jeremy Antley wrote on the need to study this activity ethnographically. — Finally, three longer pieces to give some thought: Economist Clay Christensen on how news orgs should handle disruption, media prof Clay Shirky on a post-fact culture, and outgoing Columbia j-school dean Nicholas Lemann on why he’s optimistic about journalism. Computer-generated portraits of Obama, Romney, and Crowley by Don Relyea used under a Creative Commons license. POSTED Oct. 19, 2012, 10:29 a.m.
Coddington, Mark. "This Week in Review: Anonymity and free speech at Reddit, and the cause of Newsweek’s decline." Nieman Journalism Lab. Nieman Foundation for Journalism at Harvard, 19 Oct. 2012. Web. 20 Apr. 2019. Coddington, Mark. "This Week in Review: Anonymity and free speech at Reddit, and the cause of Newsweek’s decline." Nieman Journalism Lab. Last modified October 19, 2012. Accessed April 20, 2019. https://www.niemanlab.org/2012/10/this-week-in-review-anonymity-and-free-speech-at-reddit-and-the-cause-of-newsweeks-decline/.